Kara Orford is Community Library at Prestatyn Library and is the judge for YLG Wales. Ask any of the CKG judges and I am sure they would say that one of the BEST things about being a judge for the CILIP Carnegie and Greenaway Medals is the fact that we are lucky enough to get invited to some fabulous schools to visit and talk about the judging process (We sometimes get fed cake too while we’re there, but that’s a whole other story!). I was lucky enough this week to enjoy the Carnegie Medal celebration event at Prestatyn High School in Denbighshire, North Wales. 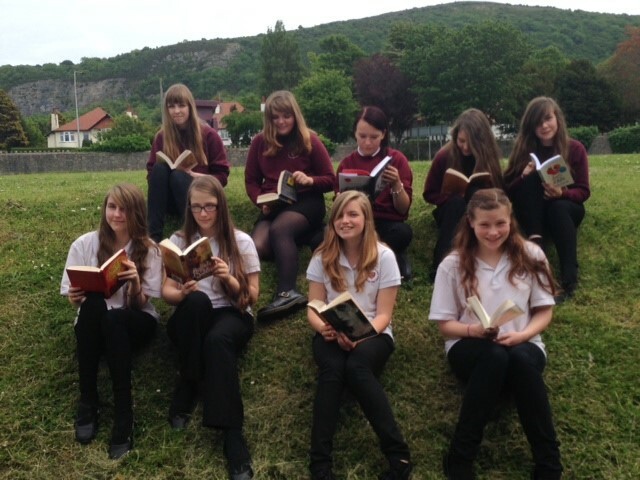 Prestatyn High is just down the road from the library that I work in and I have the pleasure of visiting the lovely Sarah Southerton and her gang of avid readers once a fortnight during shadowing season. We tend to hold the celebration event on the same day as the actual award ceremony down in London, but due to circumstances we had to be a little ahead of time this year! It doesn’t matter what kind of day or week I am having in library-land, a visit to a shadowing group never fails to leave me completely reinvigorated and in love with my job! The toilets in the library may be blocked, I may have been shouted at by an angry man who’s furious about his fines, but all of that goes out of the window after an hour with a group of passionate, opinionated readers who have lots to say about this year’s shortlist. 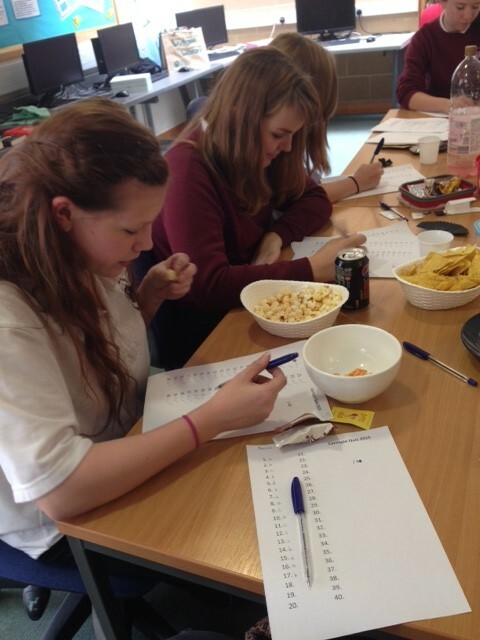 We kicked off this year’s celebration with a multiple choice quiz covering a round on each of the short listed titles (Big shout out to Casey who managed an unbelievably respectable score, only to later confess that due to G.C.S.E coursework she had only actually finished two of the books!). We had prizes for the best review posted (Well done Kate! 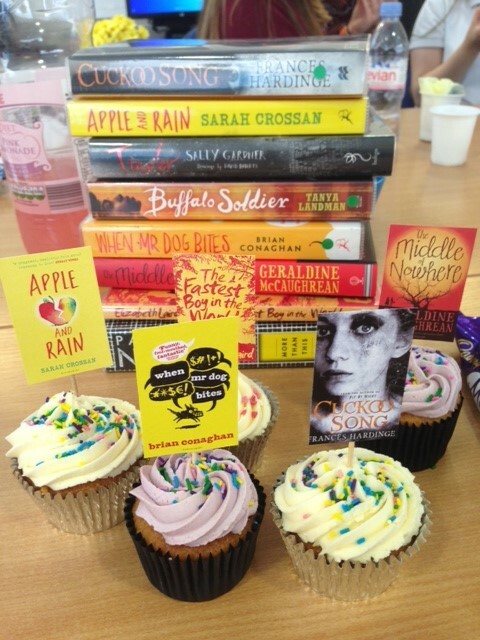 ), we had Carnegie themed cupcakes, but of course, most importantly, we had a rip roaring debate about the book that deserved to win this year’s Carnegie Medal! Wow, such strong opinions, such thoughtful and considered points raised and some extremely persuasive and impassioned speaking going on. Shadowing groups and the debate that they generate are at the very heart of all things Carnegie Greenaway and I just love hearing what they have got to say. In case you were wondering, this particular shadowing group voted ‘More Than This’ as their winner, closely followed by ‘Buffalo Soldier’ and then ‘Tinder’. Will their vote mirror that of the judges? At least it won’t be long to wait until the news is out! Monday will be here before we know it and I have got that excited, bubbly feeling about the winners being announced. I just can’t wait for those envelopes to be opened! !